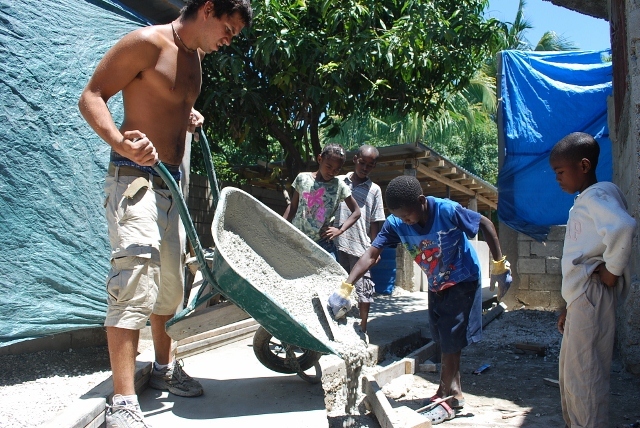 Following the devastating earthquake in Haiti, European Disaster Volunteers (EDV) has been working on several projects to improve the lives of the local people. One of these projects is with the Foyer d’Orelph Orphanage and School, which serves 53 orphans and is getting ready to provide education to over 100 students at the school. As with any region that has been struck by a natural disaster, the conditions of buildings and infrastructure have been devastated. The classrooms at the school only had a tarp as protection from the elements, and the women who cook there were drenched when it rained. This project provided a much-needed roof over a classroom and kitchen. 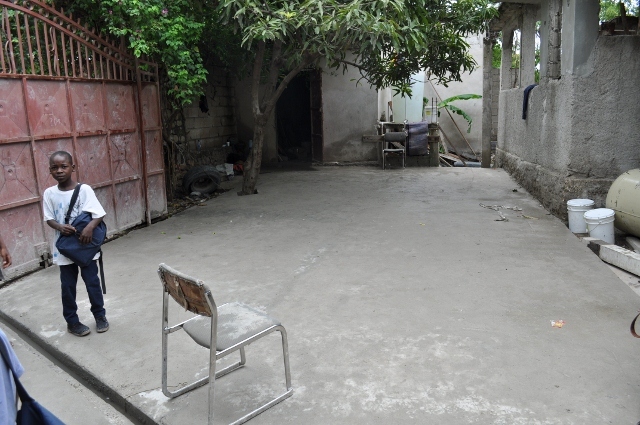 In addition, improvements were made to waterproof the interiors and address drainage problems, which have been causing a serious health risk to the children. 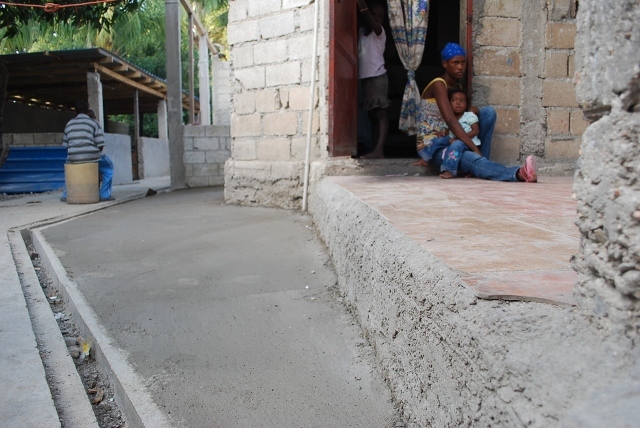 Following the devastating earthquake in Haiti, EDV has been working on several projects to improve the lives of the local people. One of these projects is with the Foyer d’Orelph Orphanage and School, which serves 53 orphans and is getting ready to provide education to over 100 students at the school. As with any region that has been struck by a natural disaster, the conditions of buildings and infrastructure have been devastated. 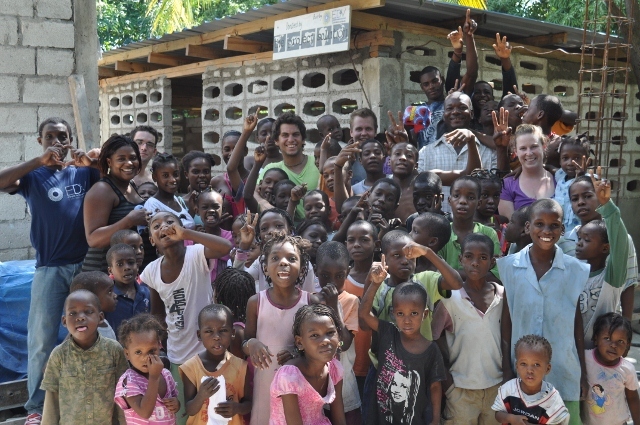 This project will be providing a much-needed roof over a classroom and kitchen. In addition, improvements will be made to waterproof the interiors and address drainage problems which have been causing a serious health risk to the children. 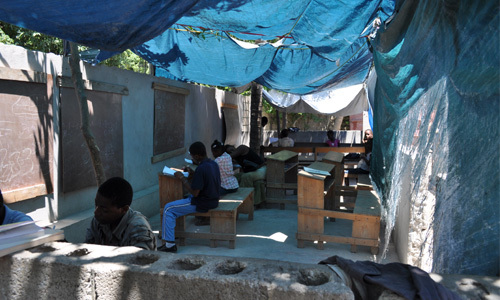 Currently the classrooms at the school only have a tarp as protection from the elements. The women who cook are drenched when it rains. Together, we are about to change this. 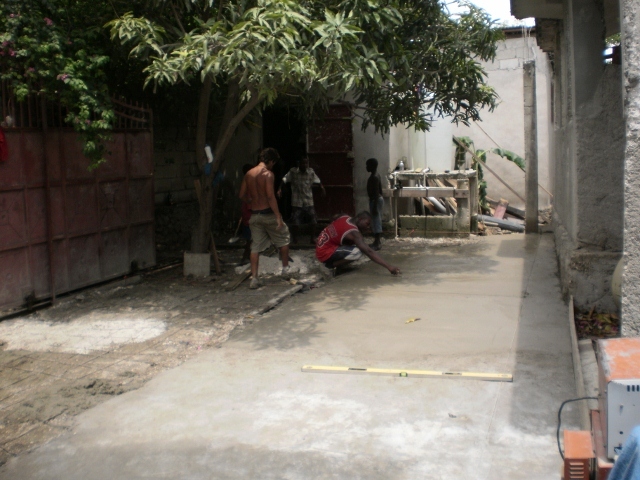 Work has started quickly at the Foyer d’Orelph Roof Project in Haiti. Even the students are getting involved in order to get things done! Timing seemed to be working out very well with this project since the season will soon bring heavier rains and potential hurricanes. Addressing the roof and drainage issues is a high priority right now. Once completed, there will be a new roof over the classroom space, as well as the area where all of the daily cooking is done. In addition to the roofs, better drainage will be implemented and surfaces that are exposed to poor sanitation will be addressed. 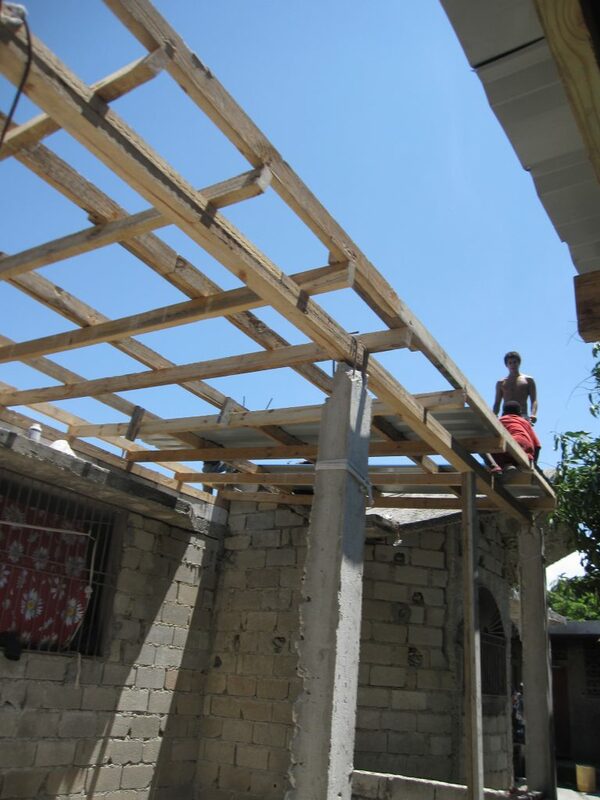 Work continues in Haiti as the roof project makes great strides toward completion. The EDV team members are diligently working to get things ready for the coming rainy season and ensure that the students stay dry under a new roof. Our Donation Team for this project has helped make a big difference to the children at the orphanage and the students attending the school. 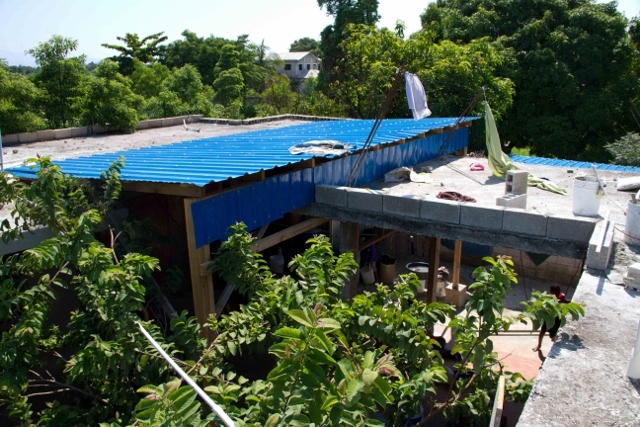 The Foyer d’Orelph Orphanage in Haiti now has its roof and the drainage issues have been resolved. 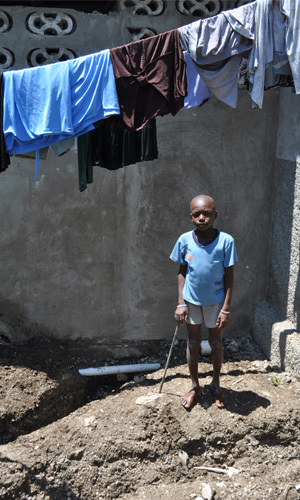 The students are now situated in a safe and dry area to continue their education and have less of a risk of illness now that the area has proper drainage. Finishing this project also means that there is the opportunity for the school to take in more students for the 2011 fall semester. 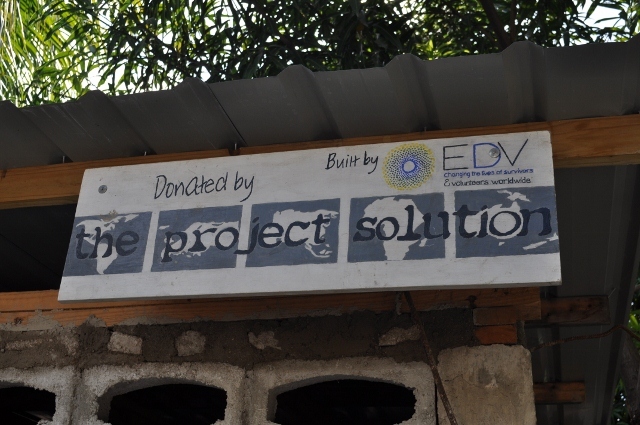 The Project Solution has had a great relationship with EDV throughout the process of getting things completed for the children in Haiti. Their team was great at keeping us updated on the progress and their onsite volunteers worked very fast to finish things up. The children at the orphanage and school are grateful to our 45 Donation Team members for making this project a reality. Another successful solution has been provided to a community! A U.S. Registered 501(c)(3) Public Charity. If you would prefer to make a one-time donation, click the donate button below and send us any amount of money. 100% of your donation will still go directly into our next project.